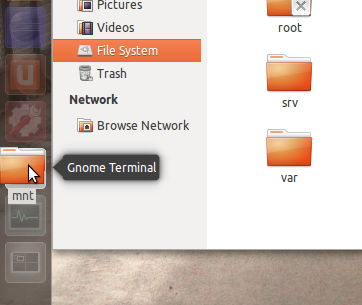 The following launcher configuration will allow you to add a Gnome Terminal launcher into your unity launcher bar. This has the ability of opening the terminal for a given folder which. To do that you can simply drag the folder onto the launcher shortcut which will open the terminal in the dropped folder. The motivation behind this effort was that the open terminal nautilus extension is not working properly with nautilus 3.2 right now on my Ubuntu 11.10. Comment=Drag and drop a folder to open in.